packet of 5 Brass screws and satin domed caps suitable for st/steel and aluminium plates size 8" x 6" and above, suitable for fixing to hardwood bases. 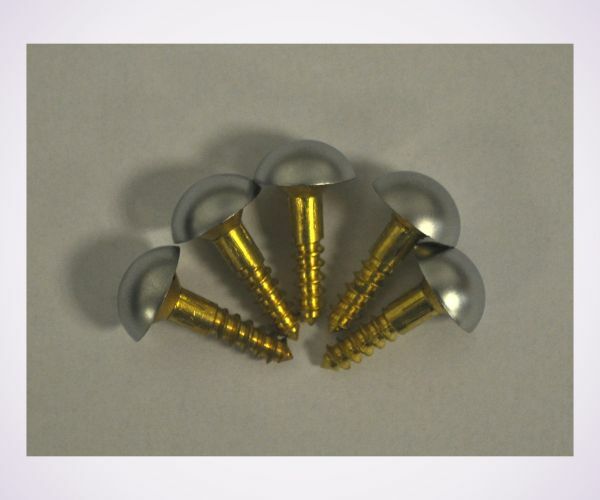 The size 8 screws meaure approx 20mm long and the caps measure 12mm diameter. Caps hand screw into the top of the screw head, for a more permanent fixing we suggest applying a small amount of adhesive.